Join us for an exclusive half-day tour to Vatican City! 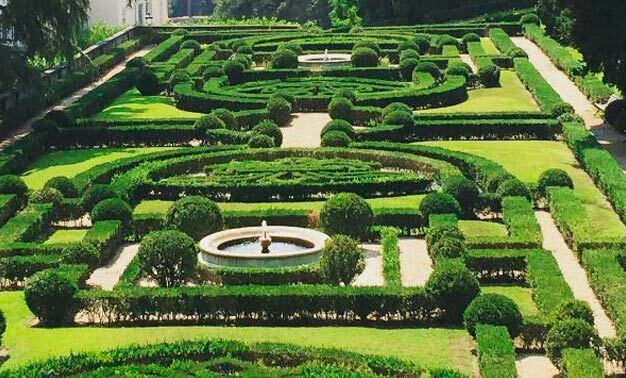 Avoid the crowds, enter the museum early, enjoy a delicious breakfast buffet, relax as the coach takes you on a 45-minute guided tour and enjoy 3 hour tour of the Vatican Museums and St. Peter's Basilica. Enter the Vatican Museums while all is still silent and the priceless art sits dormant waiting for throngs of tourists to arrive. 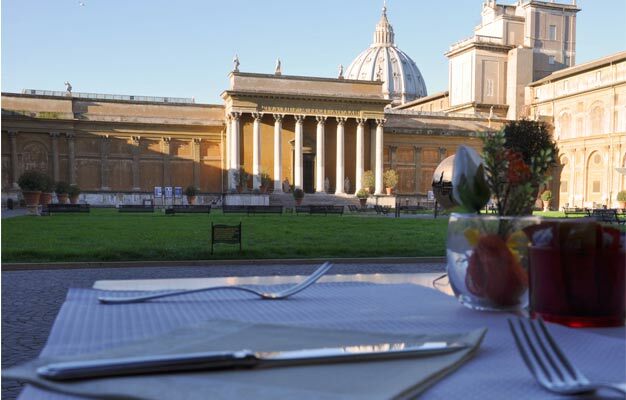 Enjoy a rich American breakfast buffet in the Vatican Cafeteria. Here you'øø find everything from croissants to muffins, eggs-made-to-order to pancakes, fresh fruits and jams to cereals and cookies, fresh juices or other cold and hot beverages. Hop on a comfortably shaded open-air private coach and drive through the hidden parts of Vatican State, just recently opened to the public. Your guide will entertain you with historical anecdotes and intriguing facts. 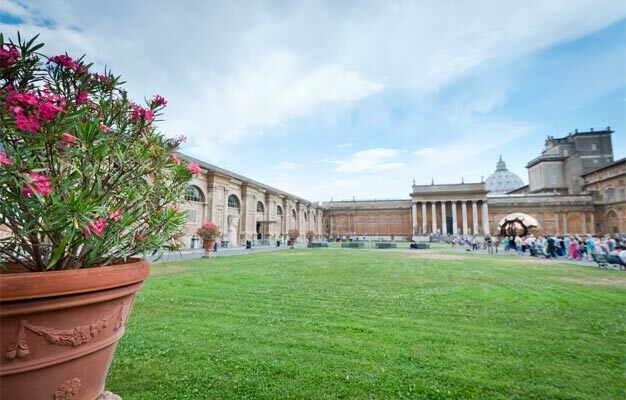 Here you'll be among the few, most privileged, to see Vatican railway station, the giant Year-2000 Jubilee bell, the stunning meditation gardens in use by popes since 1279, and the Pope’s private heliport. Your guide and historical expert will take you on a 3-hour tour through time. With endless halls and so much to see, this tour is tailored to show you the best the museum has to offer. Walk the footsteps of history: Cardinals, Popes, artists that changed the world – and learn about the drama that unfolded here beneath your feet. Your tour comes to an end at St. Peter’s Basilica, where you'll get the chance to admire the beautiful church and its masterpieces. The tour ends at St. Peter's Basilica. On most Wednesdays, when the Basilica is closed, the service ends at the Vatican Museums entrance. Yes, children's tickets are available for children between age 6-18. Please note that children under the age of 6 years are not permitted on this tour. The tour departs daily (except Sunday) at 7:15 AM.